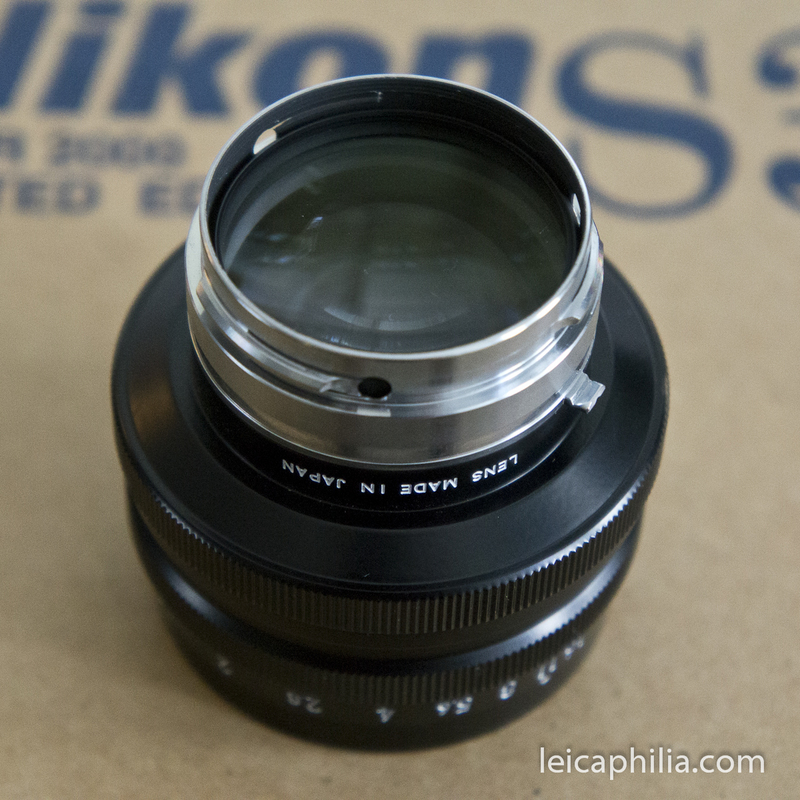 FOR SALE: New, Unused Millennial Nikkor-S 50mm 1.4. $995/$20 insured shipping. This Nikon NIKKOR-S 50mm f/1.4 is a limited-edition commemorative item built by Nikon in 2000 to sell along with the year 2000 Nikon S3. Nikon built about 10,000 of these in 2000 and 2002, sold only as a set with the Nikon S3 2000. It is a cosmetic match of Nikon’s 1964 version of the original 5cm 1.4 lens. Collectors dubbed the 1964 version the Olympic. The Millennial’s optics are modern, and probably the best 50mm f/1.4 ever made by Nikon. It has a 9-bladed diaphragm and is multi-coated. 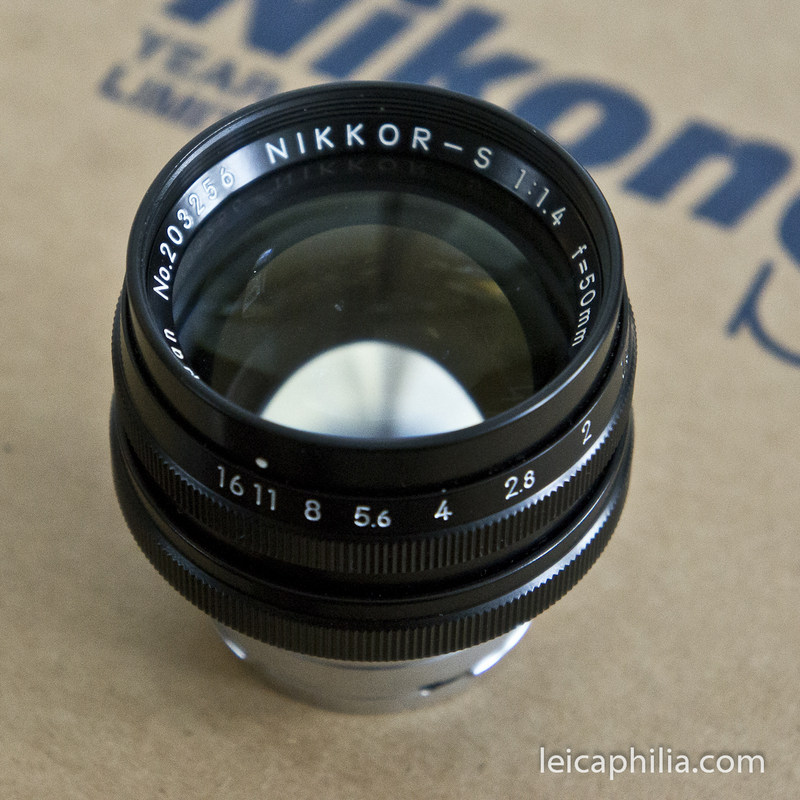 It is super-sharp even at f/1.4, has less distortion than any other Nikon 50mm f/1.4 lens ever made by Nikon. In terms of micro-contrast and edge to edge sharpness it is a match for Leica’s $5000 Summilux ASPH. The Millennial Nikkor can easily be adapted for use with Leica Ms via an Amedeo Adaptor. This entry was posted in Uncategorized and tagged Nikkor-S Millenial 50mm 1.4 on October 19, 2014 by Leicaphila.